With the new year, I’ve decided to try to eat breakfast more often and also eat more fresh fruit. Why not do both at the same time? Smoothies are a great way to do just that! I’ve been noticing the trend of adding oats to smoothies, I was intrigued and had to give it a try. I really liked the addition! It gives smoothies sort of a doughy taste, in a really good way. If you know me well at all, you know that I really dislike bananas, but they give a great texture to smoothies and, when blended with other fruit, they’re barely detectable. Mangos also make smoothies smooth and delicious (check out my Blueberry Mango Smoothie and Pineapple Mango Smoothie)! 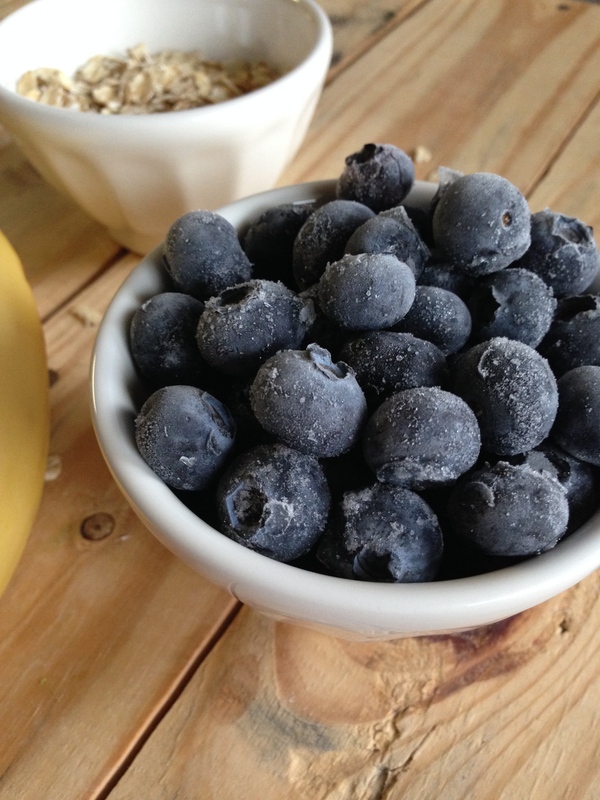 I like to wash and freeze blueberries for smoothies, you could also freeze the banana for this recipe. Place all ingredients into a blender and blend until smooth. You’ll probably need to blend it a little longer than a normal smoothie, to make sure that the oats are well incorporated. Add extra almond milk if smoothie seems too thick. 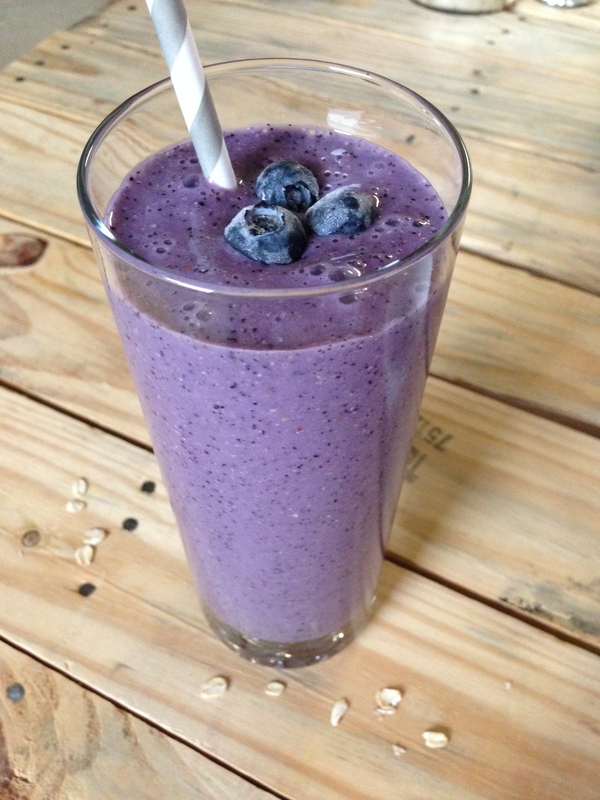 Have you tried adding oats to smoothies? Are there any other special ingredients that you like to throw in? Yum! I will have to try that some time!! This is very interesting! I’ve never been much of a breakfast fan to begin with, I’ll have to look into this. Thanks for sharing! Mmmm! I’m going to have to try this!!! Sounds yummy! And the oats just makes sense, to satiate yourself! I hope you like it girl! I’m really loving the addition of oats, there are so many potential flavor combinations! Oh yum! 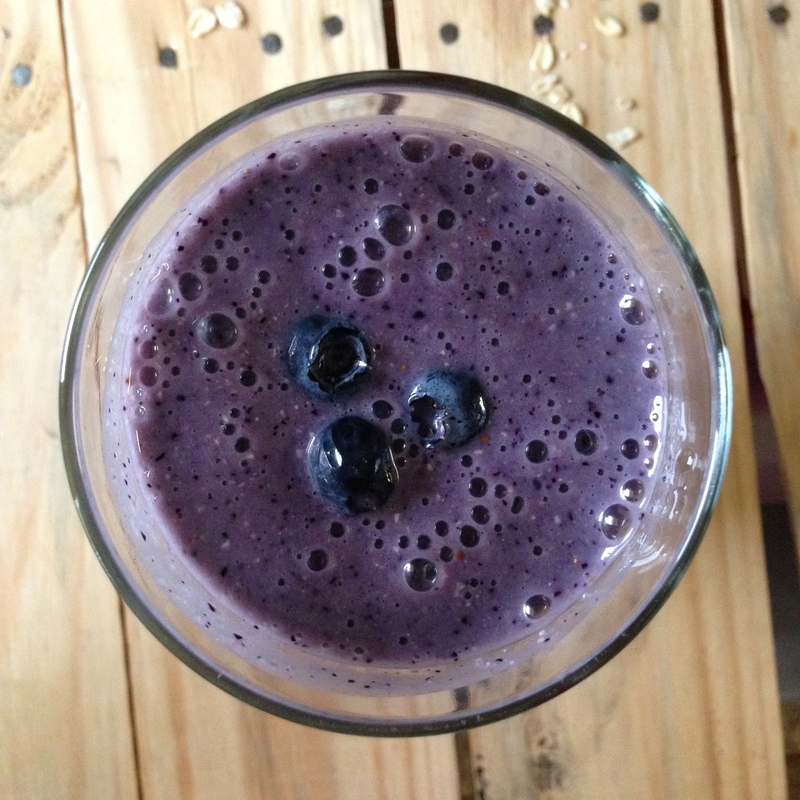 I like smoothies with greens, but I’ve never made one myself, must try! I love adding oats and blueberries to my morning yogurt. 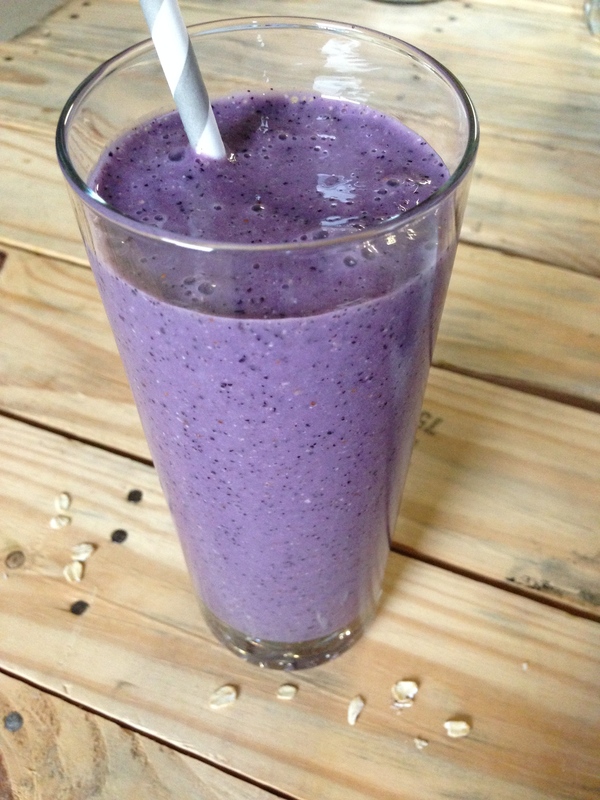 This smoothie is a perfect blend of those flavors and I love the color. That sounds really good too! Thank for commenting Haley! Love the color. I definitely want to try this! I hope you give it a try, it’s my current favorite! I gave it a dry this weekend but added a bit of blackberry jam which made it way too sweet. I’m definitely trying it again though (sans jam)! One thing I started doing was adding water instead of more Almond Milk. That way you can keep track of calorie intake better, and up your water intake at the same time. :) This sounds interesting. I think I will try it with my frozen mixed berries. That’s a really great idea! I’ll have to do that from now on. This smoothie looks so tasty! I use ground flax seed in the ones I make sometimes = extra fibre and omega 3s.